It's going to be another HUGE week at Sports Cards Plus, where you pick your box from The BEST CASES in The Hobby at The LOWEST Prices in The Galaxy (all of Texas). 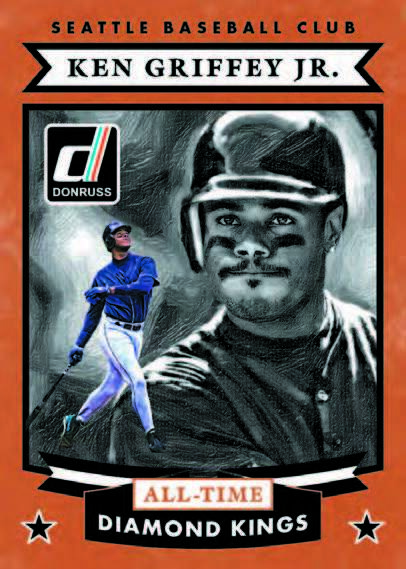 2015 Donruss Baseball picks up where last year's Donruss left off. Donruss gives you the feel of the 1980s but adds tons of great looking inserts to add to the fun. And to add a chase factor, 2015 Donruss includes buy-back autographs of Derek Jeter, Ichiro, Cal Ripken, Ken Griffey JR, Mariano Rivera, Frank Thomas and Mark McGwire. Of course, you will find massive quantities of autographs of prospects and rookies. Topps Supreme Football is back in 2014 with the usual array of amazing looking hits. 2014 Supreme includes a trifecta of autographed book cards: 1) Autographed QB Playbook cards have a quarterback's auto along with a hand-drawn diagram of their "go-to play." 2) Nickname Autograph Book Cards are done with a clack design and signed in silver ink and include the player's nickname. 3) Autographed Team Logo Patch Book Cards (1/1) come with a massive logo on one side of the book and an autograph on the other side. Autographed Retired and Veteran Stars Autographs add punch to a strong list of rookie signatures. Each case of 16 boxes has at least 11 premium autographed cards. Can't wait for the 2015 Draft Rookie Class? Relief, or is it LEAF Metal Draft Football is on the way this Friday with 2015 Football product. Each box has 4 Autographs per box with inserts and parallels. 2015 Leaf Metal Draft Football includes all the top rookies including Jameis Winston, Amari Cooper, Kevin White, Marcus Mariota, Todd Gurley and Melvin Gordon. With Jameis Winston and Marcus Mariota Autos inserted at a rate of at least one each per case, Leaf Metal Draft is a sure hit. Only 350 cases made so don't delay. Looking for 2015 Rookies with inscriptions? 2015 Upper Deck Inscriptions arrives Thursday with 4 Autographs of the 2015 Rookie Class. Upper Deck Inscriptions will include autographs of Marcus Mariota, Jameis Winston, Melvin Gordon, Todd Gurley, Amari Cooper, Brett Hundley, Bryce Petty, T.J. Yeldon, Davante Parker, Dorial Green-Beckham, Jaelen Strong and many more. Who says lightning doesn't strike twice in the same place? About two months ago, Will pulled a 2014 Bowman Sterling Johnny Manziel & Teddy Bridgewater Pulsar Refractor Dual Auto Jersey Patch Card. Saturday night, Alex pulled the same amazing card! Don't be the guy who says, "That could have been my picture." Go to Sports Cards Plus TODAY and pick your box from The BEST CASES in The Hobby at The LOWEST Price in The Galaxy (all of Texas). While your here, enter our contests for OVER $3000.00 at Sports Cards Plus!